This page contains the 720p HD security cameras that CCTV Camera Pros sells. All of the camera on this page are AHD CCTV cameras that must be used with an AHD compatible DVR. Please check your DVR to see if it is compatible with 720p, 1080p, or both resolutions. CCTV Camera Pros supplies hybrid AHD / CCTV DVRs that work with both HD resolutions as well as traditional analog CCTV cameras (standard definition). We highly recommend our iDVR-PRO hybrid surveillance DVRs for use with these cameras. If you are unfamiliar with the difference between AHD and traditional analog CCTV camera resolution, you can learn more about AHD vs CCTV here. You can also watch a video that compares SD and HD 720p video here. We also have demo surveillance videos here. We also sell 1080p AHD cameras which can find here. Below is a playlist of videos captured by some of the 720p cameras that appear above. You can select which video that you want to play by clicking on the PLAYLIST icon in the upper left-hand corner of the video player. For best results on desktop PCs, please click on the gear icon in the lower right of the player and select 1080p video resolution. One of the advantages of AHD camera is that they can use the same RG59 coax cable as traditional CCTV cameras and the cable runs can be just as long (max distance about 800 feet). 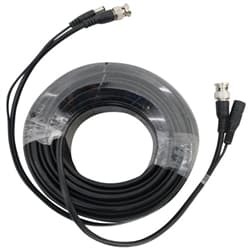 Our RG59 Siamese cable options have been tested with AHD cameras and are guaranteed by CCTV camera pros to work effectively with the AHD cameras that we sell. AHD cameras do require an HD surveillance DVR that is compatible with AHD cameras to capture high definition video. CCTV Camera Pros offers hybrid DVRs that work with both AHD (720p and 1080p compatible) and standard definition analog CCTV cameras. We highly recommend our iDVR-PRO hybrid DVRs. You can learn more about these DVRs here. The following video compares SD and HD video surveillance footage using analog and AHD CCTV cameras. Be sure to adjust the video player to 720p resolution and watch full screen to really see the difference. Here are still images from the above video. Here is a still image captured by a standard definition analog CCTV camera. The image is stretched to 720p resolution because it was captured while connected to an iDVR-E recorder at full screen. Click on the image to see the full-sized view and compare it to the HD camera image below. 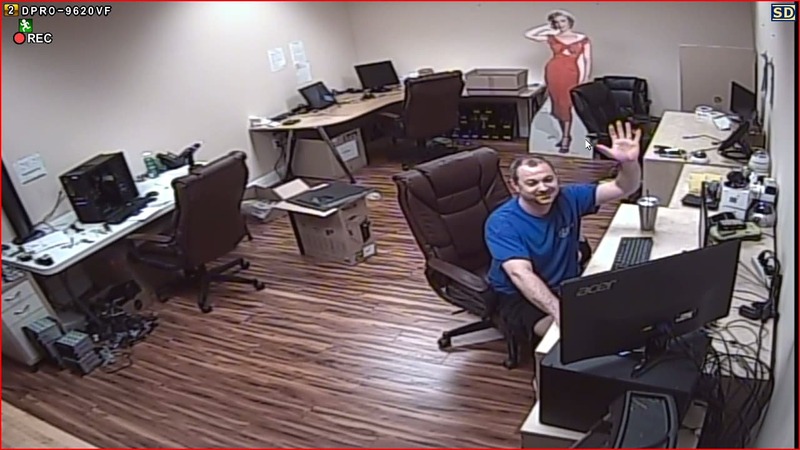 Here is a still image captured by an AHD HD security camera at 720p resolution. Click on the image to see the full-sized view and compare it to the SD camera image above. If you want to display live video directly from an AHD camera without using a surveillance DVR or if you want to share the video signal between an HDMI monitor and a DVR, you can use this AHD to HDMI converter. Click to learn more and watch a video on how it works.